Experience Bioenergetics to recover your best life! 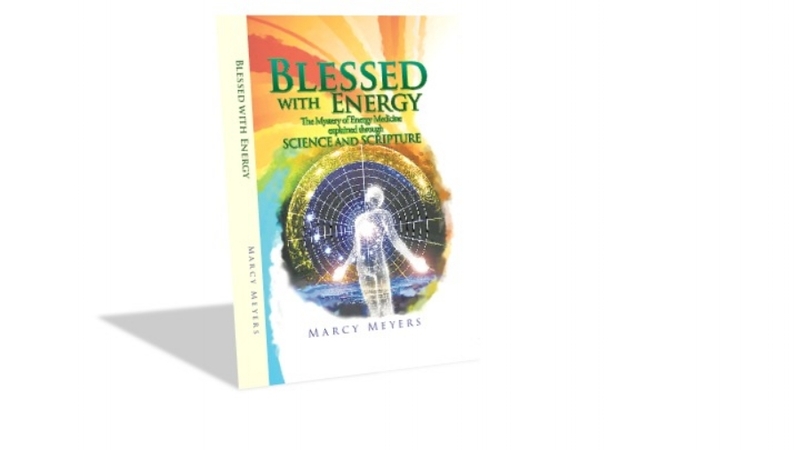 This book, written by Marcy, uses a trinity of proof - easy to understand scientific explanation, scriptural support for the concepts and life experiences - to explain how and why energy medicine works. Marcy is a Bioenergetic therapist in private practice in Kansas City. Marcy brings a unique combination of personal life experiences, academic training and twenty years of scripture study into her practice. She received her undergraduate degree in psychology and postgraduate degree in Bioenergetics. She has also received advanced training in QiGong medicine, Process Paint therapy, and central nervous system therapy. Marcy's passion and curiosity to understand the bigger picture, willingness to step outside traditional thinking, and love for the foundational truths found in science and scripture provide the perfect platform for discovering how science and faith work together in Bioenergetics. The human body is a complex system of energy and consciousness comprised of numerous electromagnetic frequencies. The health of every person is dependent upon these frequencies. Any disease process will be evident as a disturbance in the structure and function of these frequencies. Within the body there are various vital systems that work together to maintain health. The electromagnetic energy field that surrounds and penetrates the body regulates the integrated functioning of these systems, to maintain physical, psychological, emotional, and spiritual health. Muscle tension patterns, breathing patterns, central nervous system patterns, and patterns in the electromagnetic field all give signals as to where the body has pulled out of balance. By utilizing specific vibrational frequencies directed to the areas of distortion, the biological and psychological functioning of the body can be recovered. Bioenergetics helps the client learn how to retrain the nervous system, rebalance the electromagnetic flow, and reconnect the mind with the body. Achieving this allows the client to reclaim their inherent pattern of health and well-being.